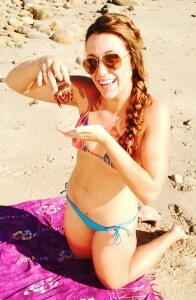 The author communing with ocean critters. 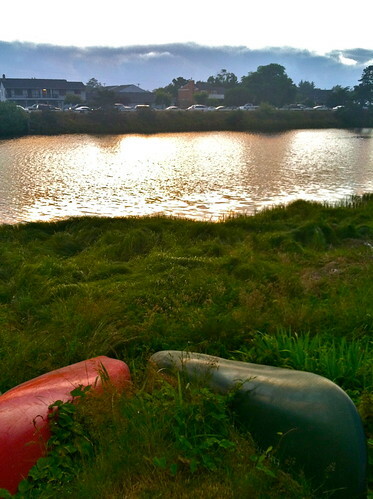 For those of you who followed my ten-week journey in the quaint town of Bandon, Oregon as a Coastal Tourism Intern with the non-profit Wild Rivers Coast Alliance, you have some idea of my background. However, for those of you who are just tuning in, let me tell you some basic facts about myself that will help put things in perspective: I have known that I wanted to be a marine biologist since the age of four when I fell into a manta ray touch tank at Sea World, I graduated this past June from the University of California Santa Cruz with a Bachelors of Science in Marine Biology, I adore slimy odd creatures that provoke a queasy look from most, and if I could eat a doughnut a day and not gain a pound I would. Roughly speaking, I have been in some kind of formal education for the past eighteen years of my life. That’s somewhere in the ball park of 22,610 hours IN school; not counting hours spent in addition to the traditional school day, or extra hours on the weekend. And for the most part I’ve loved every second! But as my senior year rolled around, I saw a shift. While I decided to load on the units so I could fit in all the awesome classes and internships that I wanted to take advantage of before I graduated, many of my friends took numerous GE’s which enabled them to have something called “A social life.” At first this didn’t bother me because I was a senior, and as such and had put my partying years behind me (visible on my transcript by my two attempts each at Chemistry 1A and Calculus 1). But it wasn’t their ability to party that had me jealous; it was their ability to go hiking for an entire afternoon, or to take spontaneous weekend trips that didn’t need to be planned around papers or midterms. I was able to get through my 23-unit final quarter by telling myself “Just wait till after graduation. Then you can have the whole summer to do nothing and spend time with friends!” However this wasn’t the case as I was fortunate enough to be one of six students accepted into Oregon Sea Grant’s amazing Summer Scholars program; one of the more awesome things that has happened to me. So naturally it started two days after, and 631 miles away from graduation. Now I’m not going to go into detail about my summer experience in Bandon Oregon, for that you can feel free to check out my previous blog posts (which I highly recommend as they contain pictures of cute animals and delicious pastries). But I will try to put into words what I took away from my experience. I will start off by saying that my internship was the polar opposite of what I thought I was getting myself into, and I will even go as far as saying that I was a little let down at first. But what I initially thought was a feeling of being let down, I later realized was a feeling of being slightly confused, and generally lost. Being a recently graduated marine biology major, I went into this experience with a somewhat jaded attitude and blindly assumed that what I was going to be doing would involve constant action in the field, and my work would have instant applications. WRONG. Essentially I was charged with figuring out a way to boost the economy of Southern Coastal Oregon via revamping their ideas of tourism. This was the exact definition of putting a small fish into a huge pond, or the Pacific Ocean if you will. I’ve never worked on such a large-scale project before and this was a huge undertaking unlike anything I had done before. My assignment was not a lab study or research project; there was no hypothesis or conclusion. In other words, there was no clear path to follow or set steps to go through. 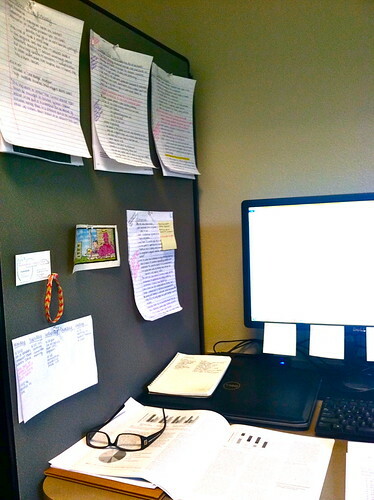 When I first started this internship, I was slightly annoyed that I didn’t have more tasks to do. As time passed, I realized that part of that was due to the fact that I was working with such an enormous “big picture” idea, and I had no idea of what direction to go in. Eventually I came to realize that any kind of change (especially on this level) deserves a great amount of time and consideration (AKA., a little more time than my ten-week stay). Not much in this world is 100% certain. Sometimes you need to move forward and grab the amazing and unknown opportunities in front of you. This experience taught me that no one field can stand on its own; for example, for tourism to be successful, the ecological, business, political, and marketing concerns must be addressed as well. While my experience didn’t necessarily change my career goals, it did drive home the points that: 1). There needs to be better communication between the scientific and non-scientific communities (such that issues and topics are presented in a way that makes them seem approachable) and 2). There is a growing need to educate future generations on the environmental issues and assets that are right in their backyard, and that if the environment isn’t properly taken care of, lots of money and time will eventually need to go into fixing it (if it can be fixed at all). It also taught me that any experience is a good experience. I hope this point resonates with everyone who reads this, whether you are an adult who has been in their chosen field for 20 plus years, or are an undergraduate who is unsure what they want to do with their life. However cliché this sounds, remember that everyone is different. We can’t all be that person who got all A’s in their undergraduate career, and then went directly into their masters and PhD (but for those of you who did do that, you are more amazing and awe-inspiring than being able to successfully fry Oreos); some of us have to do a little more wandering until we find our path. 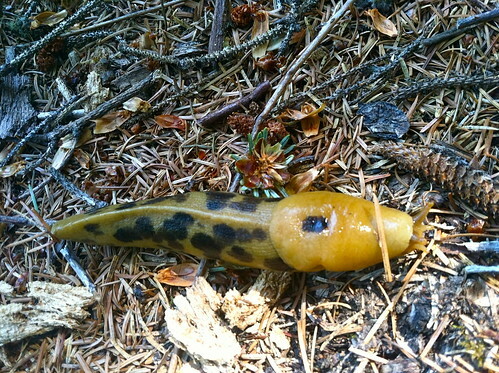 A large portion of the reason I didn’t immediately go to gradschool after my internship with Oregon Sea Grant (besides the likelihood that I wouldn’t have gotten into my top choices…) was that I had no idea what I wanted to study. That unknown was something that I struggled with for nearly my entire college career, and something that at times made me feel quite inadequate. I feel like it took me stepping away to help me realize what I’m truly passionate about, and what I want to spend the rest of my life doing. In the next year or two, I will be going to graduate school to get my degree in some mixture of conservation, management, outreach, and elasmobranchs. And I couldn’t be happier. I’m not sure how many of you made it through this whole post, and how many of you stopped reading when you realized there were no pastry or cute animal pictures. If you did reach the end then I hope you took something from this; whether it was as simple as a laugh at my joke (or more likely my attempt at a joke) or an understanding that you don’t always have to have the answer to the rest of you life planned out and ready for the next person who asks. A marine biologist perfects her foam (too bad it’s not sea foam). 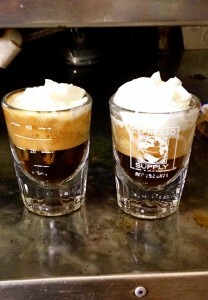 So on that note, I’m off to make some lattes!! I am in utter disbelief that this is my last week here in Bandon, Oregon… Week eight involved a lot of small projects, tying up some loose ends, and adding to the research I’ve done on sustainable ecotourism to my portfolio. A large portion of my time was spent working on my Summer Scholars presentation which I presented last Friday at the Hatfield Marine Science Center. While I have no problem speaking to a room full of people, like most I still get butterflies in my stomach and have occasionally been known to talk through several slides on one inadequate breath of air. Thankfully I was the second scholar to present so I had little time to worry about messing up, and the presentation went better than I could have expected! While my mentors were unable to be there physically, they were patched in via. teleconference so they were able to hear my presentation and be there in spirit. After my presentation I was free to sit back and enjoy hearing about what the other five scholars have spent their summers doing; I particularly enjoyed this part of the experience because I was able to get a more in-depth idea of their projects outside of what I’ve read about in their blogs. On Saturday I decided to make the trek to Portland since I thought it would be ridiculous if I spent 10 weeks in Oregon and never made it up there. I must admit that my desire was more motivated by my interest in the infamous “Voodoo Doughnut” shop than anything… Upon my arrival I immediately realized that I was back in a land of traffic and bad drivers, similar to that of my beloved Southern California! Nevertheless I navigated my way around oblivious tourists and questionable street performers until I reached the sanctuary of what seemed to be an air-conditioned parking structure. So I parked my car, walked the couple blocks that separated me from my personal doughnut heaven, and what should greet me but a line that wrapped around the corner of the building! But neither rain, nor heat, nor annoying street performer could deter me from a place that sells such sinful treats as Captain Crunch encrusted doughnuts and Bacon Maple doughnuts. 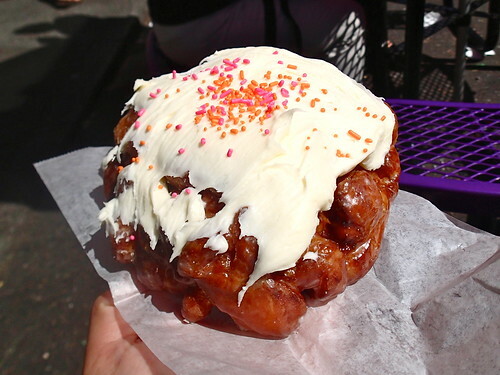 45 minutes later I was in possession of a “Ain’t that a Peach Fritter” doughnut which was easily larger than my face. From the first bite to the last, it was everything I could want in a doughnut and more, and I’m pretty sure I’m still reeling from the sugar buzz. With all my main projects completed, I have very little to do in my last week with Wild Rivers Coast Alliance. However if all goes as planned I hope to get some more work done on a preliminary draft of the Bandon Quest Project and do some more investigation into coastal ecotourism. Outside of work I have the always enjoyable task of packing my life back into my somewhat small Mazda (affectionately referred to as “The Mazzy”); I’m sure this event will provide entertainment for anyone watching since my possessions seem to have an uncanny ability to expand to fill the non-existent space. Friday is my last official day of work, so my journey back to Altadena, California begins Saturday morning! Since the drive is a bit long (around 18 hours) I will be making stops in Humboldt, Santa Cruz, and Santa Barbara to visit friends. Stay tuned for one last blog post! I can’t believe it’s week eight already! I feel like the less time I have left here at Wild Rivers Coast Alliance the more things I have to do. Thankfully every now and then I catch a glimpse of one of my alma mater’s glorious mascots and I am encouraged to march onward. Tomorrow I will be going back to Port Orford to help some members of the Port Orford Ocean Resource Team work on the “Quest” project I had mentioned in my last post. This is very exciting because there are few Quest activities on the South Coast! I hope that after tomorrow I will have a better idea of how I can construct my own Quest activity so I can create a couple for Bandon before I leave. Presently, the Quest begins at the Visitor Center (and the future site of a new interactive Marine Education Center), ends at the Port of Port Orford (unique because it is one of only six “dolly docks” in the world – where gigantic hoists lift the vessels in and out of the water each day), and covers historic and scientific topics such as: low tide, intertidal organisms, the history of Battle Rock, Red Fish Rocks Marine Reserve, and cannery history. Not only are Quests fun, outdoor learning adventures that are great for all ages, but they have the potential to increase and renew a sense of community pride in the town and its assets. Referred to as “community treasure hunts” each Quest requires a closer look at the environment and is centered around a specific topic such as sustainability or invasive species. I think this will be a great way to build each communities’ interest in the natural wonders they have on the South Coast, and maybe even act as a gateway to some new education programs. Education programs are a challenge in and of themselves. In order to create any kind of sustainable ecotourism, there needs to be interest in and knowledge of the environment since all tourism depends on the environment. The top obstacles to implementing education programs in schools are a lack of money and time to either: a). Fund teachers to receive the training to teach various marine and terrestrial science classes (assuming the teachers have the time to go through the training and find spots where the aforementioned programs would fit into their lesson plans) or b). Find someone who already had the necessary knowledge and is willing to give up their time (and probably any hope of getting paid). It is important to teach future generations that if the environment isn’t properly taken care of, lots of money and time will eventually need to go into fixing it. One problem whose solution I believe lies in marine education programs, is inspiring younger generations to return to fishing; but the problem is that getting them interested in fishing isn’t even the biggest obstacle to overcome. It’s extremely difficult for young fishermen to enter the industry because of limited entry and the high cost of permits, boats, and the necessary equipment. But if you can’t younger generations to join the cause, then how do you create non-fishery related business in communities who have fished for hundreds of years? 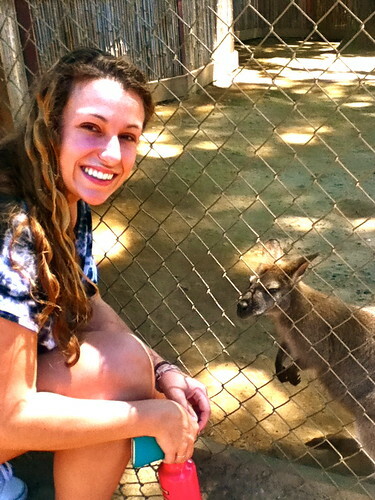 Ecotourism to the rescue! Now while this is yet another topic that an infinite list of possible setbacks and issues, as I said in my previous post, I believe (along with my mentors and some of the community members) that it is truly the way to increase tourism. However, before you create new ecosystem services, you need to get more people to stop and stay in each town. In Port Orford one way they’re trying to solve this problem is with a new visually stunning interactive Marine Center that would be located in the hub of the city at Battle Rock Park. The proposed center will have research facilities that can be seen by guests, a near water research facility, a deep ocean research laboratory, live fishery and fish buying , docent tours, touch tanks, and a seafood research facility. Since this would truly be a building unlike any other on the South Coast, it would be a great chance to link future research and programs with ongoing ones in Coos Bay and on the North Coast. Hopefully it will not only attract people who might want to work in the center or research labs, but educate residents and guests as well. It would be wonderful if the new center could facilitate educational programs for local schools; this would introduce science as something that’s interesting and going on right in their backyard! For the rest of the week I will be getting ready for our Summer Scholars Symposium that’s this Friday at the Hatfield Marine Center. Next week is my last week in Oregon! Besides working on a couple Quest projects for Bandon, I’m not sure what else is in store for me, but I can imagine I’ll find something to keep myself busy. To Road Trip or not to Road Trip: That is the question. 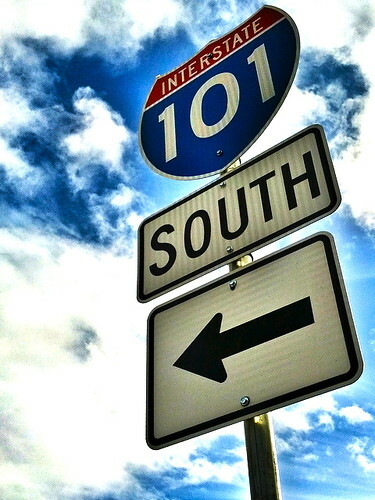 There are few things in this life more enjoyable than driving down Highway 101, taking in the stunning coastal views, and sipping on a delicious coffee! Last week I had the chance to get out of the office for a few days to visit the towns of Port Orford, Gold Beach, and Brookings. The purpose of this trip was to go over the asset list that I have amassed for each town, but more importantly to actually see all the attractions I’ve thus far only seen on a computer screen! Coffee in hand I departed Bandon early Monday morning and headed South where I met with the following: Jodi Fritts (City Administrator) and Sandy Vieira (Executive Director of the Chamber of Commerce) of Gold Beach, Annette Klinefelter (assistant principal at Kalmiopsis Elementary School) of Brookings, Tyson Rasor (Coastal Tourism Liaison), and Jim and Karen Auburn (the Mayor and his wife) of Port Orford. Surprisingly the sentiments in each town towards coastal tourism were shockingly similar. They all understood that changes would need to be made, and were more than willing to do what it takes to improve the South Coast! But as eager as each city was, they were also cognizant of the possible push back from some community members towards an increase in tourism. Since I’m here specifically to increase tourism, I was baffled as to why anyone wouldn’t be for it, especially if it meant their town would be more prosperous. After discussing the problem at length I believe that I have a better understanding of where the locals are coming from. One of their worries is that by better advertising the town’s “secret and local gems” (things such as the best swimming hole, or a really great campsite) the number of visitors will increase and they will lose ownership of their local treasure. The second common concern I heard voiced was that people don’t want to add traditional tourist attractions that would change the character of their town (things such as a boardwalk with games and rides, or souvenir shops.) Furthermore there are those who think their town is fine the way it is, and they don’t think tourism is useful. The difficult question remains: how do you create more opportunities for tourism without changing the town? Presently the main problem is that droves of people pass through these four towns on their way up or down the 101. They will probably stop to get gas, use the restroom, buy a snack, and maybe even walk around for a while; but how do you get them to stay? Like an onion this question has many layers and on a couple occasions has made my eyes water in my attempt to find an answer to this big picture problem! After determining that increasing ecotourism (something that the community members were interested in and something I feel is very tangible) would probably be the best way to increase coastal tourism, I was naturally faced with another slew of questions and drawbacks that were seriously messing up my plans! Sadly that is the reality behind this whole project. It is one thing to come up with ideas, research them, and find support, but it is another thing entirely to actually make it happen. For example: I’ve heard that the coast of Oregon has some of the best kayaking around, however, in my research I found that there is only one place that will take you out on trips and nowhere on the South Coast can you rent a sea kayak! Naturally my first thought was simply “Well, let’s put kayak rental stands out by the beach!” Problem solved. Case closed. Sadly this was easier said than done as I realized that the reason why no one rents sea kayaks is that the insurance is too high and because of the coast’s characteristic howling winds, much too dangerous for many to take kayaks out on their own. I ran into similar problems as I investigated similar ecotourism rental opportunities such as SCUBA, surfing, and snorkel gear rentals. The end product of this has been that I simply have no idea what to do, and after being highly annoyed with this fact for a number of weeks, I’m becoming more accepting of it. The reality is that I am only on the South Coast for ten weeks, which is not nearly enough time to even scratch the surface of the tourism issue. So in my remaining weeks here my projects and goals (or as I like to call them, recommendations to the future me) are thus: 1). 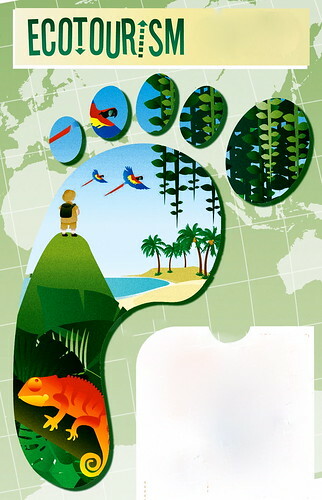 Look into the pros and cons of ecotourism as well as new activities to promote, 2). Work to develop “Quest” projects in the area (free-choice learning adventures that use clues and hints to encourage participants to discover the natural, cultural, and historical treasures of each place and its community. ), 3). Look into the development and implementation of marine and terrestrial education programs that increase the understanding of issues and resources that are pertinent to each community, and 4). 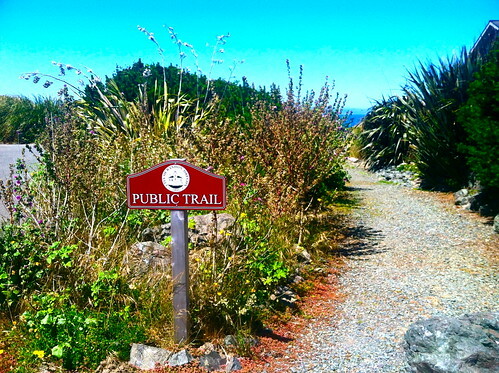 Finish my ecological “summit to seastacks” summary for the area that will be covered by the upcoming scenic bike pathway in Port Orford. 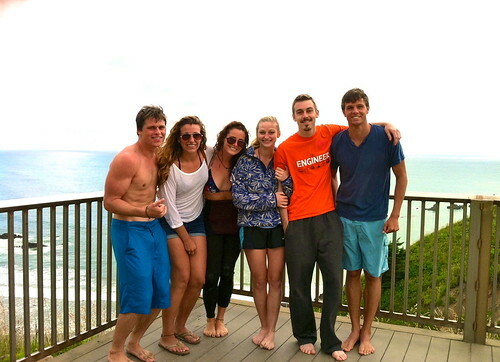 This past weekend I was visited by a couple of my friends from UC Santa Cruz! 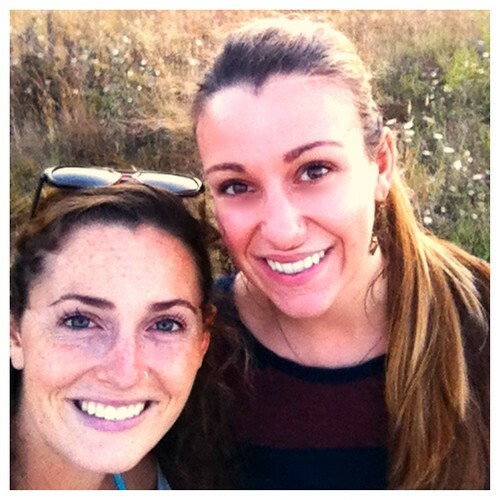 With all the hiking, exploring, s’more eating, and wine tasting, it was truly a wonderful weekend on the South Coast! Greetings readers! I must admit that I have fallen a bit behind in my blog posts, but never fear because I have many new stories to tell, as well as some new adventures in my future! A couple weeks ago I was fortunate enough to sit in on a call between my two mentors and some of the people who work in NOAA’s fisheries management department; the hot topic of discussion, Coho Salmon restoration on the South coast of Oregon. More specifically the call was a discussion of how to go about creating a “universal salmon calculator” that would detail the benefits of restoration as well as identifying the permanent economic benefits such as number of jobs created. While most of the conversation went over my head, I managed to understand the key points as well as the bottom line. In order to get people to donate money to the cause, there has to be a way to determine the salmon’s value when populations return that is universal across all areas. Currently there are many different ways to calculate this, each more confusing than the other. One proposed idea was to look at the return in terms of its landscape value; i.e. how many total acres of salmon habitat have been restored or how many miles of stream have opened up. In addition to the calculator conundrum is the lack of money to fund post-restoration monitoring. This is very unfortunate since examining any kind of project after the fact is the most important step in conservation and restoration! Without any kind of follow up there is no way to know if what you have done is sustainable, if it actually did what it was supposed to do, and if it is worth continuing. Furthermore, this post restoration analysis makes it possible to create a metric of success that will interest funders. Since money seems to be the issue, I think it would be a great idea to train community member volunteers to gather this post-restoration data. Not only would this be relatively free of charge (besides the time it would take to train people), but I believe it would also be a great chance to educate local residents on a conservation issue that’s right in their backyard and create pride and enthusiasm for protecting their environment. When dealing with any kind of conservation/restoration issue, the two main questions that I feel are most important are: 1. What are the benefits associated with restoration and 2. What are the values lost when harm comes to the environment? As has been the case with other aspects of my internship, this phone call really exemplified the point that there needs to be better communication between the scientific and non-scientific community. Issues and topics need to be presented in a way that makes them seem approachable and like something that the general public could take part in. In other news, I have finished my research for Travel Oregon! For the past four weeks I have been doing an online footprint analysis of each city’s webpages as well as collecting information on lodging, shops, food, places to go, things to do, and events and festivals. Eventually this will all be fed into Travel Oregon’s orb so it can populate the site and beef up the information on the South Coast (since it is currently lacking basically all areas of information). My next step will be to meet with people involved in the communities who are on our “Rural Tourism Steering Committee” to run all the information by them, and just get a general feel for each town as well as the possible pros and cons of increasing tourism in the area. My hope is that the end product of this project will be two-fold: 1. 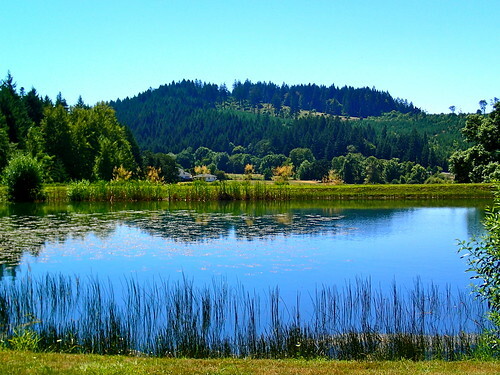 A community calendar will be uploaded to the Travel Oregon site so that local events can be better publicized and visitors can plan trips around them. 2. That an interactive map will be available for each town’s asset such that when you search for something, a map with its location as well as the locations of things to do around it pops up. My internship has reached the halfway mark! 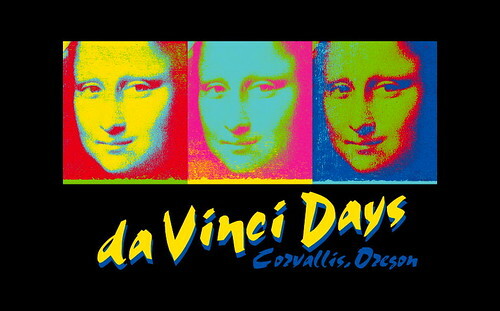 This was celebrated at the Da Vinci Days festival in Corvallis where I got a chance to catch up with all the other interns and hear updates on their projects, work Sea Grant’s both at the festival, and explore Corvallis further. Although the morning started off slowly, by the time noon came around (and the awesome all bike parade!) the festival was bustling and the Sea Grant booth had more visitors than we could handle. While the occasional passerby was interested in our summer projects, the majority were fixated with the green turtle shell display and Bubbles our live and invasive red-eared slider. As much as I would have loved to talk about my project (and believe me I could go on for hours…) I was more excited that there were so many people who were curious about marine biology and were actually asking questions. 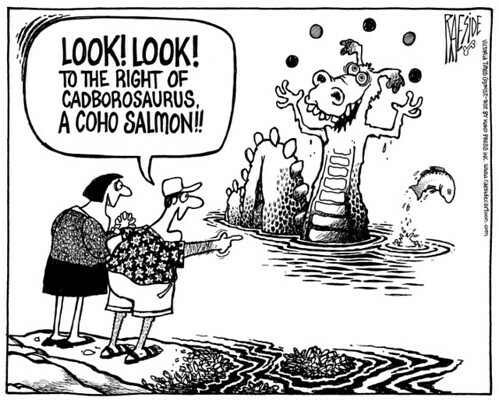 Yay for the future generations of marine biologists! Another highlight of this wonderful weekend was getting the chance to hear the awe-inspiring Jane Lubchenco speak. To be in the presence of such a strong woman who has not only been an integral part in bridging the gap between the scientific and public communities, but is the first woman to serve as a NOAA administrator, gave me such hope for the future (not to mention many goose bumps)! I was however saddened to see that with the exception of my fellow scholars, there was basically no one else around our age in attendance. Just more proof that strengthening communication and involvement in science in paramount! One trip down, one to go! 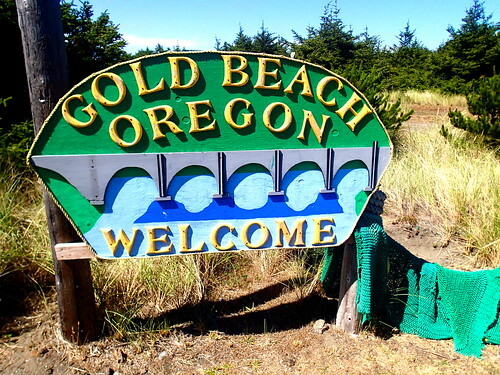 This next week I will be leaving Bandon and venturing down to coast to the towns of Port Orford, Gold Beach, and Brookings! I’m so excited to get to visit the places that up till now have only researched on the Internet. Curry County here I come! I hope everyone’s 4th of July weekend was as amazing as mine! As I said before, I have been a California girl my entire life and as such have been somewhat hesitant about opening my heart and mind to a different state. However, after spending the holiday weekend exploring Corvallis, Seaside, and Cannon Beach I have replaced my skepticism towards the Oregon coast with what I can only assume will progress into a budding romance. I started off my four-day weekend by visiting some friends in the quirky college town of Corvallis where I discovered some amazing bakeries, got the chance to stroll through the bustling farmer’s market, and went on a short but beautiful hike up to Bald Hill. Later we set off on a short road trip to Seaside to enjoy some 4th of July festivities and well deserved beach time. The second I set foot in downtown Seaside I immediately realized that I wasn’t in Bandon anymore… Whereas Bandon (or as its residents affectionately refer to it as, “Bandon by the Sea”) is a small fairly quiet beach town whose citizens pride themselves on their charming old downtown and specialty stores, Seaside (whose motto is “More than just a day at beach”) is roughly twice the size of Bandon and definitely has more mainstream tourist attractions. Later we traveled down the coast a bit to Cannon beach and spent the day exploring local art galleries, all of which drew their subject matter from the surrounding coastal environment. So far this project has been very different from ones that I’ve previously taken part in. Up until this moment, most of the work I’ve done has been on a fairly small scale, but now gone are the days of sitting at a lab bench and observing organisms under a dissecting scope! 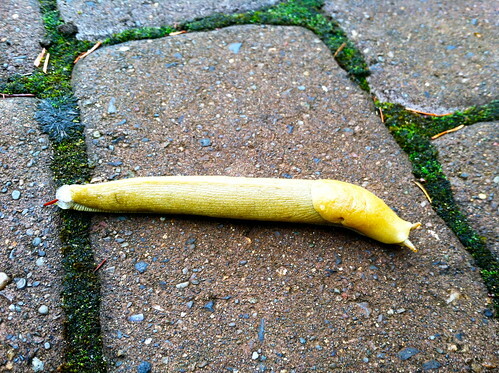 I have been tasked with determining what the “brand” is of South Coast Oregon. With four towns, roughly 12, 803 people, and thousands of miles of land and coast you can imagine this is no easy task. I have also discovered that there is no easy answer of how to promote and spread coastal tourism. My trip to the North coast this past weekend exemplified that, and taught me that the while the more traditional modes of attracting tourists (such as bright neon signs, gift shops, arcades, etc. ), may be lucrative, they are not necessarily what’s best for an individual community, let alone something its residents would be fine with. I saw this in the charismatic town of Seaside Oregon; a town that most likely attracts passersby because of its beautiful beaches and charming houses, but causes them to stay and return with the help of new aesthetically pleasing apartments and hotels right on the beach, an arcade full of games and rides, and numerous shops where you can purchase apparel and food to remind you of your stay. 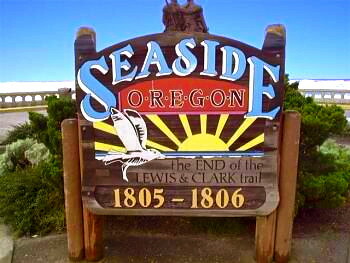 While I do not claim to be an expert on Oregon’s coastal towns, anyone could see that Seaside is virtually the polar opposite of Bandon (not to mention double the size!) I have come to the conclusion that a lot of it basically comes down to personal preference. And using my experience thus far as an indicator, I believe that it is near impossible to brand the entire South Coast simply because each town has something special to promote (ie. Old Downtown Bandon, art galleries in Cannon Beach, arcades and souvenir shops in Seaside). While this can be seen as a major pain (especially since I have been asked to in fact, brand the south coast) it also reminds me that the beauty in it is that each town is in fact different, so theoretically there is a coastal town in Oregon for each and every person! While Oregon’s coastal towns may be different, there is one thing that they all have in common: the beauty of their natural resources. 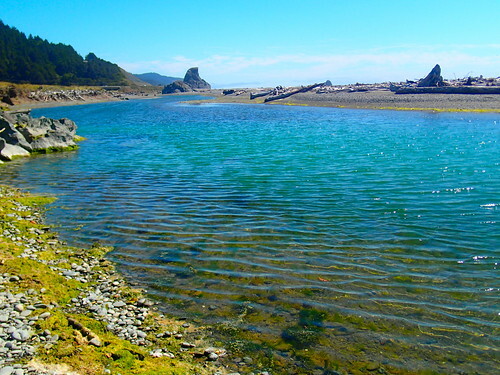 Bandon, Brookings, Gold Beach, and Port Orford all provide access to the coastal activities such as SCUBA, fishing, and kayaking, lush forests where you can camp, hike, and bike, and freshwater where you can swim, fish, windsurf, or just boat around. In my remaining time with the WRCA I hope to help each town capitalize on their breath-taking environments to not only help stimulate their economies, but to educate the residents and tourists on conservation issues that are right in their back yard. This is a crucial step, one which is often overlooked, because the fate of these natural resources will directly affect many local businesses such as fishing and farming. 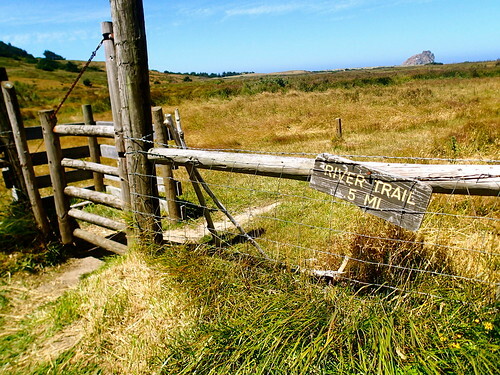 This past week I was fortunate enough to sit in on the second meeting of WRCA’s steering committee and meet a variety of people working with organizations such as the Freshwater Trust and the Port Orford Ocean Resource Team, as they discussed their individual projects as well as organizations that WRCA has funded or will fund in the future. It was amazing to learn how many organizations WRCA has helped and about all the amazing projects they plan to fund in the future (such as a sustainable greenhouse where teens can volunteer and learn about local plant species). 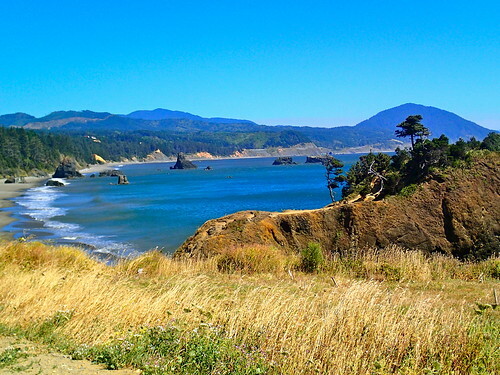 Next week I’ll be taking a field trip down to visit Brookings, Port Orford, and Gold Beach to meet with community leaders to discuss the work I have done on mapping out what each town’s assets are. I think this will be an awesome chance to get to know these towns a bit better as well as start a conversation about how each town wants to work towards creating more sustainable tourism! After a full week in the office I think I’m starting to get a better handle on what it is I will be helping Wild Rivers Coast Alliance with in the next ten weeks. For the past week and a half my main priority has been to create a master database that details what activities, lodging, restaurants, shops, and places to visit, are available to tourists in each of the four cities that WRCA works with (Bandon, Brookings, Gold Beach, and Port Orford.) Thus far what I have learned from my research is that while each city advertises many places to stay and eat, most of the four towns are seriously lacking when it comes down to detailing what there is to do (i.e. 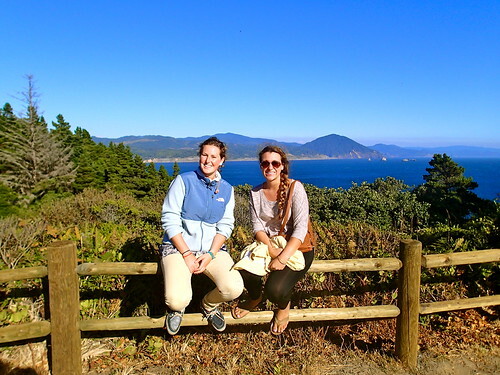 such as whale watching, hiking, and kayaking). In the end, all the information I have been collecting will eventually be input into Travel Oregon’s website. To me this is particularly exciting because I want to reinforce the knowledge out there that one of the main reasons people should visit Oregon is to take advantage of the astounding environment! My hope is that by strengthening the information that’s out there about activities to do in nature, each city will be able to not only increase their sustainable ecotourism, but educate locals and tourists alike about each particular habitat, species, and conservation issue relevant to the coast. In the coming week I believe I will be meeting with some city officials from the representative four cities to fine tune the information I have collected, as well as determine what the best way is to implement any desired changes. I also plan on continuing my research on what South Coast Oregon’s presence is in facebook, twitter, and smartphone applications; because we live in a society that is so driven by technology and instant access to information I believe this is a great chance to captivate and educate! This past weekend we had, without doubt, the best weather since I’ve been here! So with warm weather, sunny skies, and some visiting friends I set out again to explore Oregon’s charismatic South Coast. 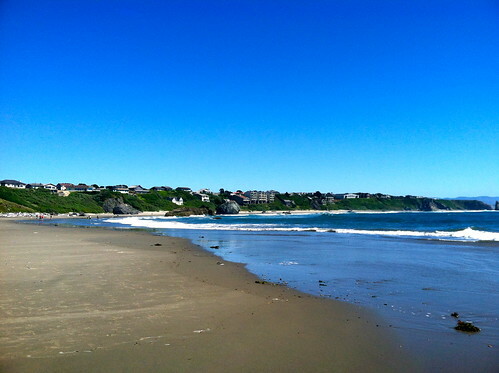 Since my position as a coastal tourism intern requires me to research what the towns of Bandon, Brookings, Port Orford, and Gold Beach have to offer (such as various activities, restaurants, etc.) I have decided that I should probably experience them myself; after all, why should I expect other people to be interested in all these places if I myself haven’t even been to them? My day began at the Bandon Baking Company and Deli, which had cinnamon rolls that looked so appetizing I think I actually started to drool… The Baking Company is a cute place that’s the perfect stop for some morning coffee and a delicious homemade pastry. After breakfast my friend and I traveled a short distance down the 101 to the West Coast Game Safari Park, an awesome place for people of all ages to not only have close encounters with exotic animals that they would otherwise probably only see in pictures, but to learn about them as well. We spent the afternoon petting and learning about animals such as the lynx and white tiger, and wishing that we had our own pet Wallaby. After we had our fill of cute furry animals and loud annoying peacocks, we headed back to Bandon for some smoothies from the Bandon Cofe Cafe which has quite an impressive menu including sandwiches, a variety of coffee drinks, and homemade pie (not to mention free WiFi!). 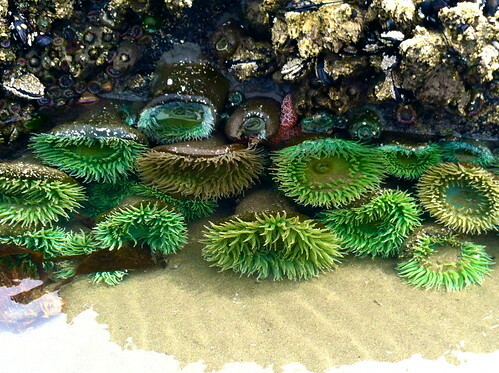 While it’s fun exploring, on a hot summer day there really isn’t anything better than relaxing on the beach and exploring the intertidal. We weren’t the only ones taking advantage of the lovely weather, and saw both locals and visitors surfing, beach-combing, tide-pooling, and birdwatching. We ended our tough day of exploring with some delicious seafood at Tony’s Crab Shack! 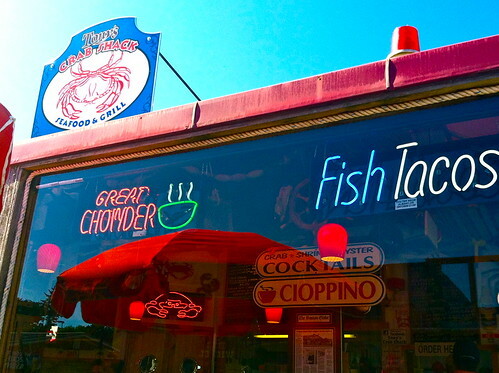 This is an awesome place to sit outside, enjoy the beautiful weather and view, and enjoy some fresh seafood. This week will be a short one since the 4th of July in on Thursday. While I will not be spending it in Bandon, my weekend will still be spent exploring Oregon’s coastline, but this time I’ll be in Seaside. Stay tuned for more updates on my adventures and progress with Wild Rivers Coast Alliance! 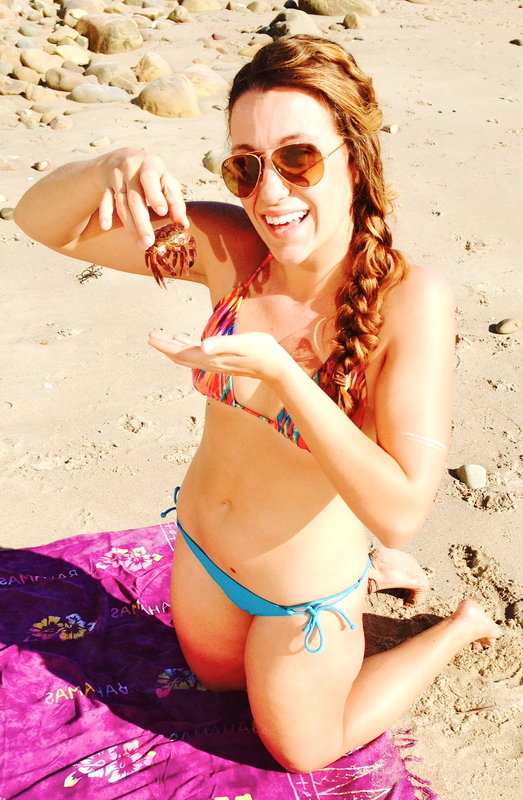 My name is Catherine Courtier and I have recently graduated from the University of California Santa Cruz with a B.S. 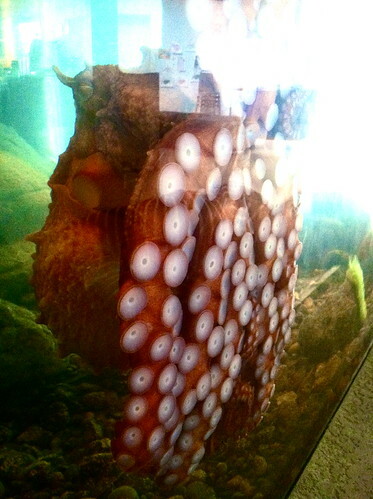 in Marine Biology. During my time as an undergraduate I was not only fortunate enough to work in the labs of some truly inspiring professors, but got the chance to take part in field study classes that enabled me to get a taste of what exactly it was that I was spending my undergraduate career working towards. 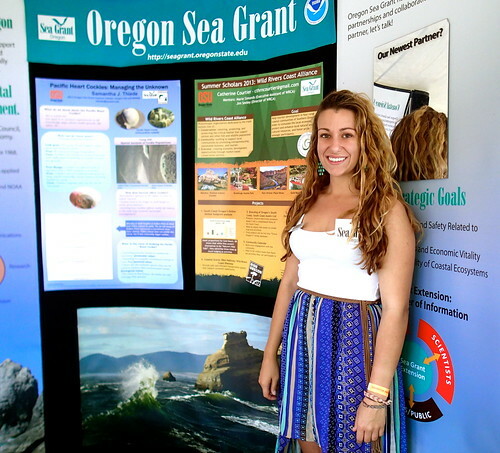 Now I am one of six lucky Summer Scholars chosen by Oregon Sea Grant to work with Wild Rivers Coast Alliance. My main focus has always been on marine organisms, (specifically invertebrates) however I have recently become interested in the issues that surround coastal conservation, something I hope to learn more about through WRCA. I was born and raised in Southern California, so you could definitely classify me as a sun, sand, and sandals type of girl. So naturally when I found out that the town of Bandon Oregon (where I will be spending the next ten weeks of my life) typically reaches a summer high of 68° I was a bit concerned. However, when I arrived in this cozy coastal town my worries seemed to disappear as I caught glimpses of the landscape on my way down the 101. 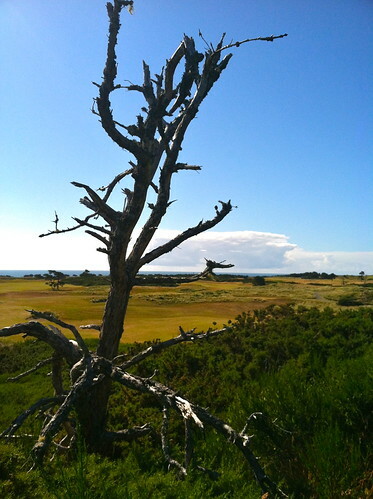 My first stop in Bandon was at the Bandon Dunes Golf Resort, and home of the Wild Rivers Coast Alliance, where I had lunch with my mentors Marie Simonds and Jim Seeley while overlooking the Bandon Reserve Course. Aside from its spectacular beauty, this course is of particular interest because all its proceeds go to funding Wild Rivers Coast Alliance. Now that I am all settled in, I’ve had some time to begin exploring Oregon’s South Coast. Despite the questionable weekend weather and encroaching storm, I ventured out to the beach and was rewarded with mild temperatures and amazing tide pooling! 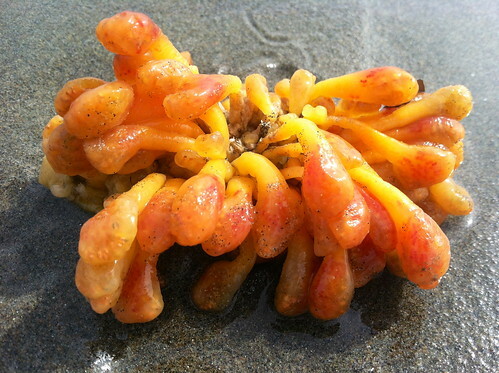 In addition to the vibrant anemones and adorable sea stars, I caught a glimpse of some sunning sea lions and quite a bit of what I believe to be an orange sea sponge washed up on the beach. Sadly the storm eventually caught up with me, so my plans to explore the various hiking and biking trails Bandon has to offer will have to wait till next weekend! While I’m not by any means an expert cyclist, I hope to improve my riding over the course of this summer so I can help with the final stages of a new coastal scenic bike pathway. Tomorrow marks week two of this amazing experience and I can’t wait to see what adventures are in store for me!